Last week I introduced you to our baby boy mummy, and this week I have another introduction to make. But unlike most of the Artifact Lab occupants, our newest addition is very much alive! 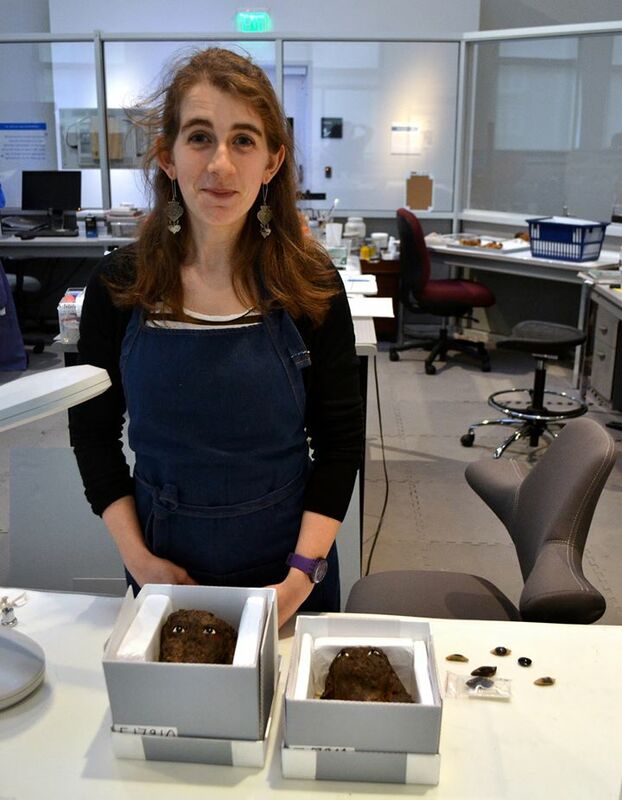 Laura Galicier is a graduate student studying conservation at the University of Paris Pantheon-Sorbonne, and she recently arrived in Philadelphia to start a 7-month internship In the Artifact Lab. 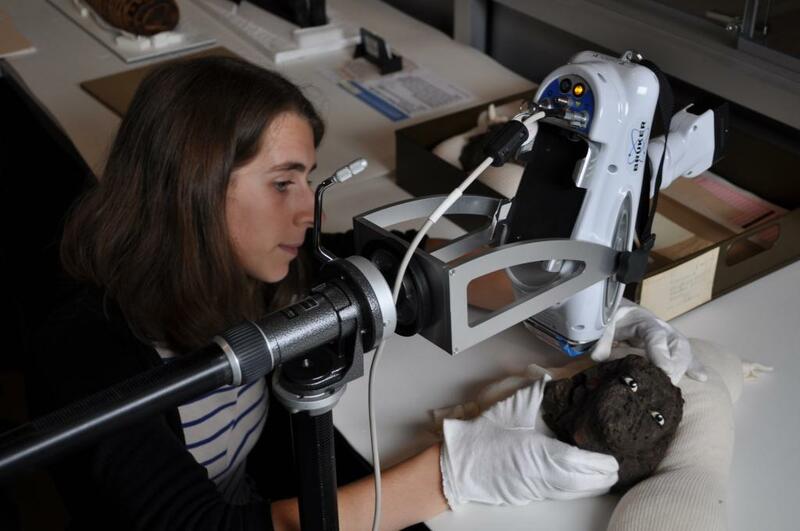 A couple of the things that you may wonder are, did she know that this internship would involve being on display all of the time, and, as a conservator-in-training, how does she feel about having to answer so many questions about Egypt? Well, the answer to the first question is that she was very well-aware of the open nature of the lab because she found out about us through this blog, and had seen photos of the lab and read about our daily interactions with the public. So she can’t say that she didn’t know what she was getting herself into! Laura is a quick-study, and is already doing a beautiful job of fielding questions from visitors during our open window sessions. Furthermore, Laura is more knowledgeable than most conservators about Egypt, because before starting her conservation studies, she completed a Master’s in Archaeology with a specialization in Egyptology. She has also worked in Egypt, at the Karnak Temple Complex. 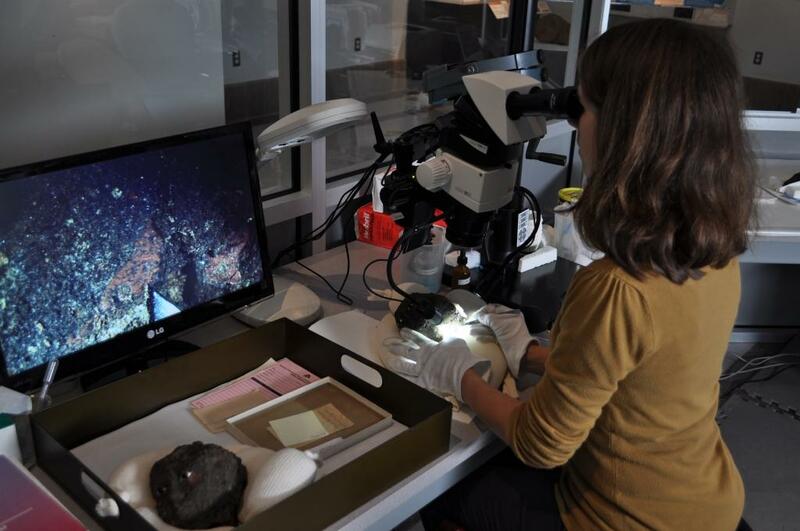 While she is here at the Penn Museum Laura will be working on several projects in the lab, one which will be the subject of her dissertation. I’m not going to say anything else about it here – I will let Laura tell you all about her work in an upcoming blogpost. 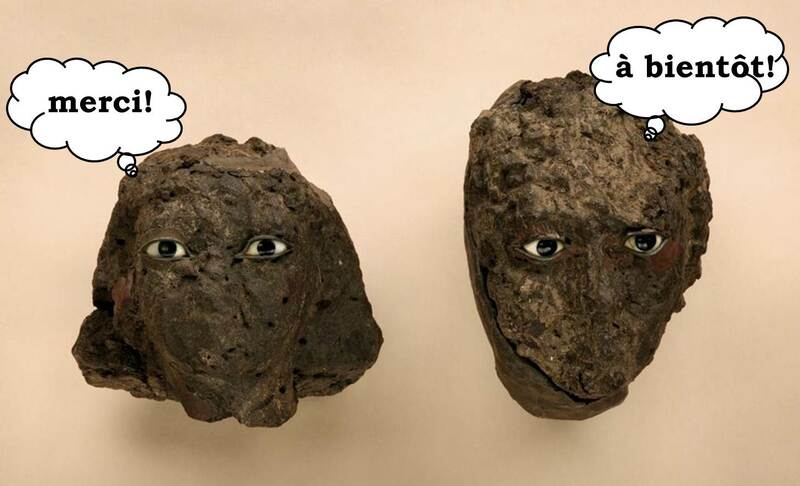 In the meantime, I hope your curiosity is piqued by these images (above, at the microscope, and below) of her examining a pair of wooden statue heads. Expect to hear more about them from Laura here on the blog, and if you visit the lab, you may have a chance to chat with her about her projects.